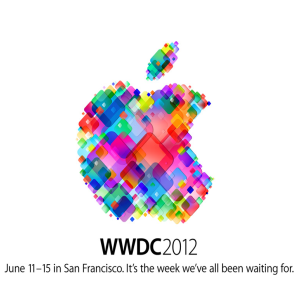 WWDC Today, What to Expect? Tomorrow is a big day in the world of Apple, their annual conference WWDC or World Wide Developers Conference is being held in San Francisco. Rumours are spreading everywhere about the iPhone 5, IOS 6 and iCloud, what we know for sure that IOS 6 and Mountain Lion seem to be the main focus this year due to this photo taken at the venue. Hundreds will gather at the event to see Apple's CEO Tim Cook and fellow employees reveal the latest tech from Apple. Expect tech sites like Engadget and Gizmodo to be streaming the event for all people interested. More on what should be talked about, IOS 6 is rumoured to be focused on Siri and updating it/her to become more functional using different languages and accents. A few months back Apple was rumoured to be ditching Google Maps and implement their own GPS software, with IOS 6 it is expected for that to be put into affect. as with IOS 5 and Twitter, IOS 6 is rumoured to completely integrate Facebook. Now these are all rumours but sites like 9to5 are very often right, if most of these rumours are true I will be very disappointed, now I love my iPhone but all of this social networking is getting too much , i'm fine with my one app on page 2 to access it all but involving it with everything I do is too much. Also with the rumoured Siri updates, I feel this would be better done with a small update like 5.1.2 etc. Mountain Lion will obviously be making an appearance, after its beta launch earlier this year consumers haven't heard much along the lines of Mountain Lion, this would make WWDC the perfect place to do this just a month or so before the product launches. Mountain Lion will integrate new ways of communication and gaming on Macs with Messages, Notification Center and Game Center, this will all be discussed further tomorrow. The iPhone 5, unlike previous years there hasn't been any leaks, all speculations for this device are all rumors this time around. With the iPhone 5, we can expect a new 1.5 GHz quadcore A6 processor or even see the A5X chip return as seen in the" new iPad", a possible 4' inch Retina Display and even 4G LTE technology just to make your internet browsing that much better. But we'll see if this device makes an appearance at WWDC this year, if not expect it in October like the previous iPhone 4s. Even though it seems Apple will be focusing more on the software side of things, WWDC 2012 will definitely be a treat for tech junkies around the world. WWDC kicks off at 1:00 PM EST.